TO VIEW ALL CONDOMINIUMS CLICK ON THE LINK ! Sarasota’s downtown is a charming, Mediterranean-styled cultural hub lined with swaying palm trees and picturesque shopping avenues. Every step, and every turn brings you to the window of an intriguing gallery, unique sculptures and jewelry, fine antiques, and paintings from artists both American and European, spanning the 19th and 20th centuries. Perpendicular to this area, you’ll stroll through the Hollywood 20 movie complex, where you’ll also then discover trendy cafés, as well as shops which bustle with delightful activity. You’ll also discover more boutiques and galleries, and fascinating shopping hotspots. If culture is your thing, then you’ll be certain to make a bee-line towards the Towles Court Artists Colony, many live theatres, Historic Burns Square, and the farmers’ market of every Saturday morning. Furthermore, on the first Friday of every month, Palm Avenue and Main Streets keep the doors open to their restaurants, boutiques, and galleries, to create a festive air in which you can shop as much as you please. Meanwhile, live entertainment, area vendors, and special celebrations will surround you and please you, making the First Friday Walk an event that is not to be missed. 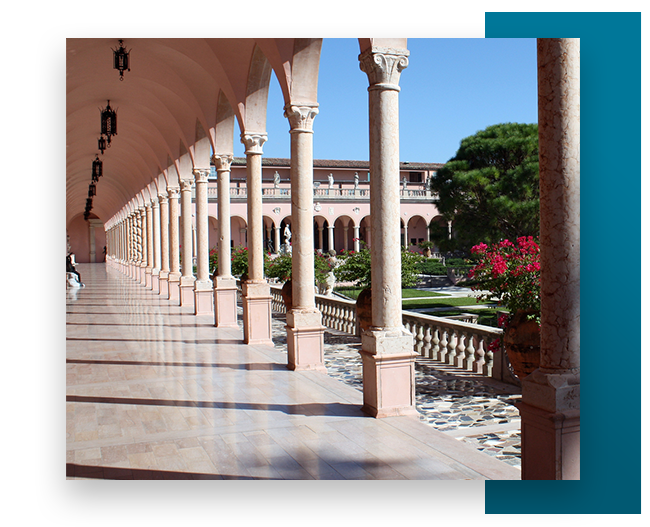 Affiliated with Florida State University is the John and Mable Ringling Museum of Art. Take a day to peruse the largest museum/university complex in the United States. More recently, Sarasota has become a proud part of the Florida eco-heritage tourism trail, which brings together over 150 environmental, cultural, historical, and educational sites. Each of these sites bring fun and education geared towards protecting and conserving the local waterways and historic sites of the area. Among them is the Marie Selby Botanical Gardens, which is situated right downtown Sarasota as a tropical oasis which extends over 16 acres overlooking the bay. 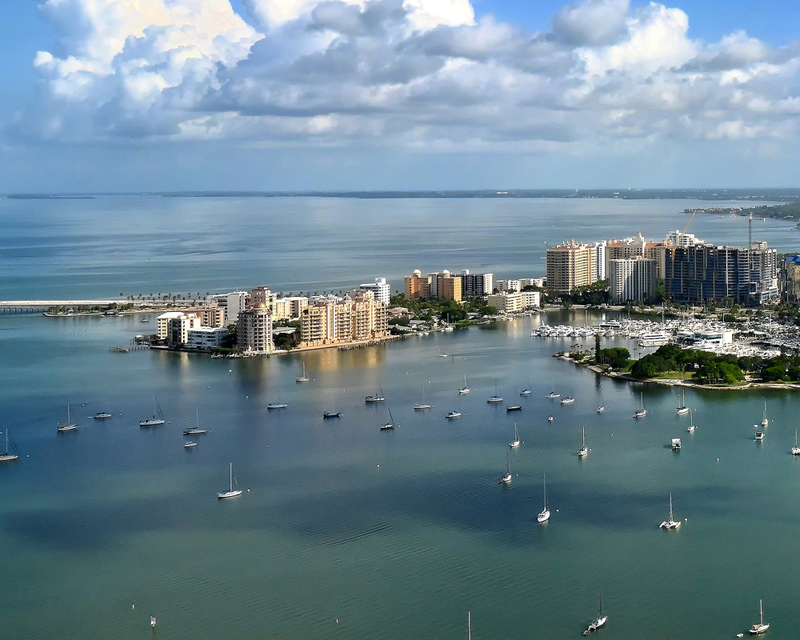 The sights, sounds, entertainment, and hospitality of downtown Sarasota are difficult to match, in even the largest and most world-class cities. Downtown Sarasota is the heart of the city well known as Florida’s “Cultural Coast”. Here, you can take advantage of the excitement, entertainment, and culture that would flatter even the finest of big cities. It is downtown in Sarasota that you’ll discover its professional symphony, its opera, and its ballet, as well as over 10 theatres, 30 art galleries, and, of course, 35 miles of beaches on the Gulf of Mexico. Downtown Sarasota will not disappoint even the most refined of cultural connoisseurs because it is ALIVE with the presence of artistic diversity. Close to virtually every cultural event that Sarasota has to offer, Downtown Sarasota is the epicenter of a wide variety of music, movie festivals, theater, art, dance and galleries. Here you can find Ringling Center for the Cultural Arts, The John & Mable Ringling Museum of Art, Museum of the Circus, Ca d’Zan, Marie Selby Botanical Gardens, Van Wezel Performing Arts Hall, Sarasota Opera House, Sarasota Ballet of Florida, Florida Studio Theatre, Florida West Coast Symphony, the FSU/Asolo Theatre Company and much, much, more! And not too far away you can acquire knowledge of our rich marine environment at the Mote Marine Laboratory. Sarasota’s downtown offers a charming social scene, Mediterranean-styled cultural hub lined with swaying palm trees and picturesque shopping avenues. Every step, and every turn brings you to the window of an intriguing gallery, unique sculptures and jewelry and fine antiques to behold. There is plenty to capture your attention long enough to idle the day away. 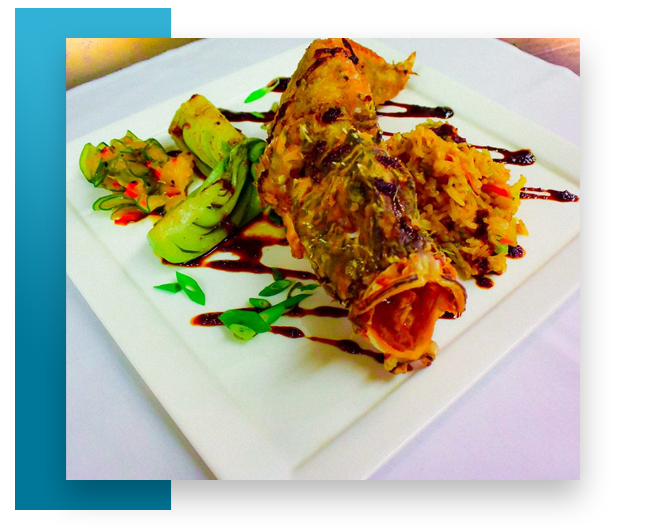 If filling your social calendar is what you crave then Downtown Sarasota will keep you busy with an abundance of activity choices ranging from black tie affairs to casual flip-flop BBQ’s. A thriving and vibrant community with every recreational opportunity imaginable under the sun. From your choice of approximately 60 different golf courses nearby to an abundance of water sports and everything in between including galas, fundraisers, luncheons, designer showcases, car shows, art gallery events and so much more. And don’t forget those beautiful Gulf Coast beaches-many of them are just minutes from Downtown Sarasota. Whether you are in the mood for a quiet, sunset stroll, an energetic walk through the sand and surf or a family picnic along the shore, Longboat Key, Lido Beach, Siesta Key, South Lido Park and Turtle Beach lend themselves to the perfect setting. Sarasota is located on the West Coast of Florida, 60-miles south of Tampa, 212-miles northwest of Miami and 132-miles southwest of Orlando. Downtown Sarasota is in the heart of it’s cultural district and offers its residents all the hospitality of a small town combined with the amenities and modern infrastructure of a large city. 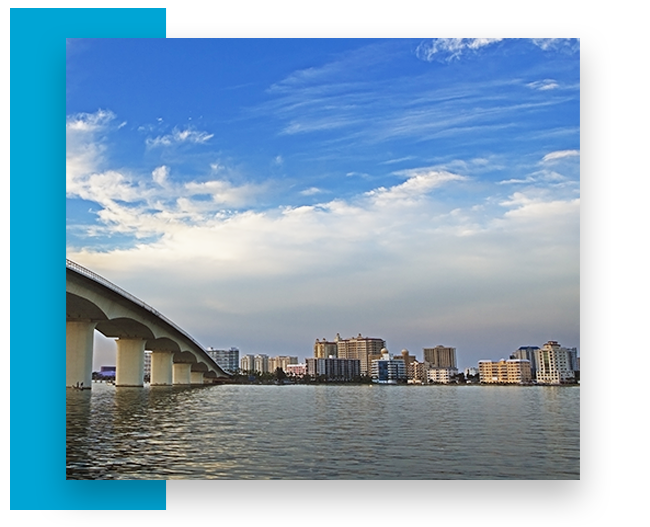 Downtown Sarasota is an area that has proven attractive to young professionals, families and retirees; easily accessible by air, sea and highway, the community boasts something for everyone, playing host to a wide variety of activities and housing options. From family-affordable waterfront mansions to swanky care-free condominiums, whatever your taste and wallet dictate, you’ll probably find it here. Nationally touted as one of the best places to live and work. 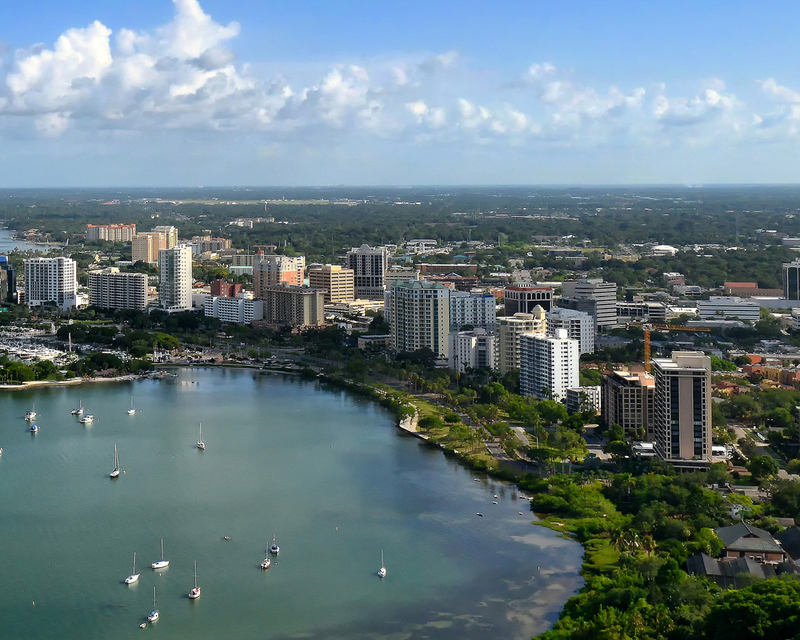 Sarasota, and Downtown Sarasota specifically, is a smart business choice. No longer simply a resort destination, Sarasota has a friendly business environment that helps companies flourish. Downtown Sarasota is also very near many of the extensive networks of health maintenance organizations that provide quality healthcare at costs below the national average. One of Sarasota’s greatest assets is its education system, from public schools top-ranked in the state to nationally recognized institutions of higher learning. USF New College of Florida, Ringling School of Art and Design, to name a few, are mere minutes from Downtown Sarasota. 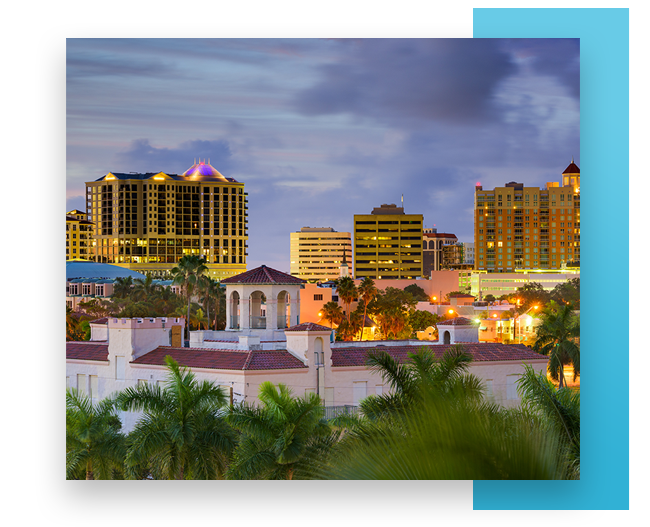 Downtown Sarasota… a great place to live, work and play.